1. First, a word about the Abravanel family, one of the oldest and most distinguished families of Iberia, tracing their origin back to King David. 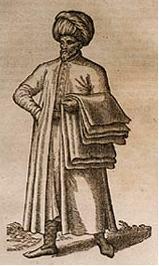 Don Judah Abravanel (1284-1312) was treasurer and tax collector to the court; Samuel of Seville, known for his wisdom and goodness, was royal treasurer (1388); the family fled to Portugal after having been forcibly converted to Christianity – and then returned to Judaism. His son, Judah, was the father of Isaac. He, too, was in financial service, to the Portuguese court. 2. Don Isaac Abravanel was born in Lisbon in 1437. His scholarly promise showed early, as he studied Jewish philosophy and rabbinic literature. Not surprisingly, he had a superb understanding of financial matters, which caught the attention of the King of Portugal, who employed him as royal treasurer. 3. Wealthy in his own right and by virtue of his family, he was generous to the Jewish poor and spearheaded an effort to raise funds to free 250 Jews taken captive in Morocco. After their redemption, he supported them as they settled in a new place. 4. Upon the death of the Portuguese king, he was accused of conspiracy and had to flee to Toledo, leaving much of his fortune to be confiscated. Initially, he undertook Biblical studies there, in a scant six months producing extensive commentaries on the books of Joshua, Judges and Samuel. To each book he provided a general introduction and discussion of its date of composition and authorship – an innovation at the time. 5. He entered the employ of the court of Castile, again dealing in financial matters and eventually lending the king money to pursue the Moorish war. All this did not prevent the banishment of the Jews from Spain in 1492, though Abravanel did his best to persuade the king otherwise by both arguments and bribery. 6. He went to Naples and entered the service of the king there, but then war forced him to go to Messina; from there he went to Corfu, then to Monopoli, and finally to Venice, where he lived the rest of his life, starting over again and rising again to wealth and prominence. 7. His philosophy dealt with science and its relation to Judaism. He was not a rationalist, not a Kabbalist, but knew both streams of thought, as well as midrash, which he quoted liberally. He believed that the Torah is a revelation from God, and therefore not subject to human science. Christian scholars readily took up his work because of its accessibility (more about that below) and its focus on Messianic ideas. Abravanel fiercely defended the Jewish idea of the coming of the Messiah. 8. It was a time of hopelessness and despair for Jews from the Iberian peninsula. Under this pressure, with the danger of their Judaism disappearing, Abravanel made his works accessible to the common reader. His introductions were an innovation; in them, he listed questions that he sought to answer in his commentary. He compared the social structures in Biblical time with social and political conditions facing the Jews in his own time. This is perhaps his chief characteristic – the use of scripture to discuss contemporary Jewish problems. 9. Also notable in his work was his knowledge of Christian theology and his discussion of Christian exegesis where it was relevant to his commentary. 10. He died in 1508. The Abravanel family has continued to produce scholars, physicians, writers and outstanding practitioners of the sciences and the arts up to the present. Find Abravanel Street in Jerusalem between the Knesset and the YMCA, parallel to Rambam. 1. 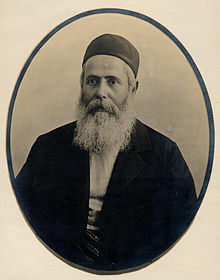 Aharon Chelouche was born in Algeria in 1827 and made aliyah with his family while still a boy. 2. His two sons, Yosef and Avraham, were named for his two brothers who drowned when the family was shipwrecked on the voyage from Algeria. 3. He made his living as a goldsmith, trading in gold and silver, and as a money changer. And he bought land, lots of it. Some of the land he bought became Neve Tzedek, where he built a house in 1887. This was the first settlement outside of Jaffa’s walls. Adjoining the house, he built a synagogue, Beit Chelouche, which is still in operation today. 4. Aharon died in 1920, by which time his sons were active in Tel Aviv’s affairs. Yosef Eliyahu was educated in a Talmud Torah and at a Jewish school in Beirut. He married at age seventeen. 5. In the 1890s, he and his brother opened a store, Chelouche Freres, dealing in building materials. Later, they used the same name for a factory that produced building products. 6. Like his father, Yosef bought land. He became a building contractor, constructing many buildings in Neve Tzedek and, later, Tel Aviv. Thirty-two of the buildings of Ahazat Bayit were his, as was the Alliance School, now the Susan Dallal Center. The edifice of the Herzliya Gymnasium was another of his accomplishments. 7. In 1909, he was among the founders of Tel Aviv. He became a member of the first local council following World War I, and in the 1920s sat on the Jaffa city council. 8. Because he spoke Arabic, he was an important mediating force between Arabs and Jews. He believed the two peoples could co-exist peacefully and to their mutual benefit. 9. Yosef wrote a memoir, Reminiscences of My Life, in which he made an impassioned plea for Jewish understanding of, and outreach to, their Arab neighbors. An annotated edition of this work came out in 2005. 10. Yosef died in July 1934. The family continues to be involved in the life of Tel Aviv. In Tel Aviv, you’ll find Chelouche Street in Neve Tzedek and Yosef Eliahu Street near the Frederic Mann Auditorium. 1. Nehemiah Rubitzov, from the Ukraine, emigrated to the United States, where he changed his name to Rabin. Then, in 1917, he made aliyah to Palestine as part of the Jewish legion. He met the woman who would become his wife, and in March of 1922, Yitzhak Rabin was born. He grew up in Tel Aviv, where his parents moved when he was a year old. His mother was one of the first members of the Haganah. 2. Yitzhak Rabin graduated with distinction in 1940 from an agricultural high school, with the goal of becoming an irrigation engineer. 3. In 1941 he joined the Palmach and saw service in the first half of that year in the allied invasion of Lebanon. 4. He continued in the Palmach, and after the war planned and executed the raid on the Atlith detention camp in October 1945. Two years later, he became Chief Operations Officer of the Palmach. 5. In 1948, he married Leah Schlossberg. 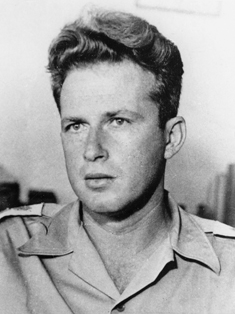 In the war following Israel’s declaration of statehood, Rabin served as commander of the Harel Brigade and fought on the road to Jerusalem. He directed operations in Jerusalem and fought the Egyptians in the Negev. He was deputy commander of Operation Danny, involving four IDF brigades in capturing the cities of Ramle and Lydda. His duties were fraught with difficulty: he signed orders there for the expulsion of the Arab population. 6. In 1949, he move from warrior to peacemaker, taking part in the delegation to the armistice talks on Rhodes that led to the end of hostilities with the Arab nations. 7. By 1964, he’d become Chief of Staff of the IDF. The forces were under his command in the Six-Day War of 1967, and he was among the first to visit the Old City of Jerusalem after its capture. 8. In 1968 he was appointed ambassador to the United States, a position he held for five years. 9. He became Minister of Labor in March 1974 under Golda Meir and then Prime Minister in his own right in June of that year – the fifth prime minister of Israel, and the first to have been native-born. He was to serve from 1974 to 1977 and again from 1992 until his death in 1995. Operation Entebbe, the successful effort to rescue hijacked Israeli airline passengers, was carried out under his orders in the first year of his tenure. In the following years, he focused on improving the economy, solving social problems and strengthening the IDF. 11. He also oversaw the signing of the Israel-Jordan Treaty of Peace in 1994. But his signing of the Oslo Accords brought him calumny from right-wingers, and in 1995 he was assassinated by a young radical. 12. He was buried on Mt. Herzl, hundreds of world leaders attending his funeral. The Knesset set aside the 12th of Cheshvan in the Jewish calendar as his official memorial; but many Israelis follow the secular date of November 4th. In 1995, a commemorative stamp was issued in his memory. Ten years later, in 2005, he was voted number one in a poll of the greatest Israelis – a man of war who became a statesman working for peace. Besides Rabin Square in Tel Aviv, you’ll find streets, neighborhoods, schools, bridges, and parks named for Rabin throughout Israel, as well as streets in Bonn, Berlin and New York and parks in Montreal, Paris, Rome and Lima. 1. Abraham Isaac Kook was born in 1865 in Griva, Courland, then part of the Russian Empire, now Latvia. The son of a student of the Volozhin Yeshiva, and the grandson, on his mother’s side, of a Chasid, he quickly became known as an outstanding student, a child prodigy. He was odd, though, in that he loved speaking Hebrew – a habit that was frowned upon in that place and time, Hebrew being the holy tongue. Yet at the same time, he prayed with unusual fervor, sensing the immediacy of the divine presence. 2. 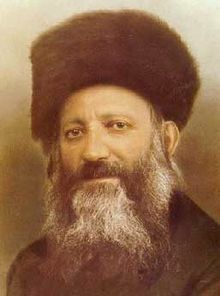 In 1887, at the age of 23, he became rabbi of Zimel (or Zaumel) in Lithuania, and in 1894 of Boisk (or Bausk). He wrote prodigiously, earning renown as a thinker, Torah scholar, Halachist and Kabbalist. What set him apart was his openness to new ideas alongside his orthodox beliefs. In his first essay on Zionism, published while he was in Boisk, he accepted Jewish nationalism – even at its most secular – as an expression of the divine will. 3. He didn’t have to go to Eretz Yisrael: in fact, he turned down tempting offers in Lithuania, and instead, in the summer of 1904, took up the position of rabbi for Jaffa and its surrounding agricultural settlements. He served not only the religiously observant, but reached out to all Jews. 4. In the summer of 1914, while traveling in Europe, he was caught in the outbreak of World War I. He spent two years in Switzerland before relocating to London, England, where he stayed until 1919. 5. After the war, he was appointed rabbi of the Ashkenazim in Jerusalem, and under the British mandate, the first Ashkenazi Chief Rabbi. In his mind, the establishment of a chief rabbinate was the first step toward re-establishing the Sandhedrin. He was not political; his philosophy was inclusive – he believed that Jews, working together, serving God, would bring about redemption. 6. In other words, he was a religious Zionist who welcomed those who did not follow orthodox Judaism. He believed the end of days was near, and bringing together all Jews was part of the divine plan that would introduce the Messianic era. His role, as he saw it, was to embrace, rather than reject: to build and maintain channels of communication between the various Jewish sectors – Zionist and non-Zionist, religious and secular. 7. In 1924, he founded the yeshiva knows as Merkaz HaRav. The language of instruction was Hebrew, a fresh concept in that day, and the curriculum included not just the Law, but also classics of philosophy and devotion. He thought of the yeshiva as a place where Jews from all over the world could come and learn. 8. He was a man of his time, and there is an undeniable element of Jewish chosenness in his writings. If you look at his photograph, you can see in his eyes the inner light that touched so many. 9. It is said that when he died in 1935, over 20,000 mourners attended his funeral. 10. Moshav Kfar Haroeh, in central Israel, had been established and named for him in 1935. In 1937, Mossad HaRav Kook, a research foundation and publishing house was established in his name in Jerusalem. It has produced more than 2000 books. Rav Kook House, once Kook’s apartment, is a museum located on Rav Kook Street in Jerusalem, between Nahalat Shira and Mea Shearim. In Tel Aviv, HaRav Kook Street is located near the sea, just south of Kerem HaTemanim, crossing HaKoveshim.